An ancient statue of Isis caring for Horus, creator unknown. 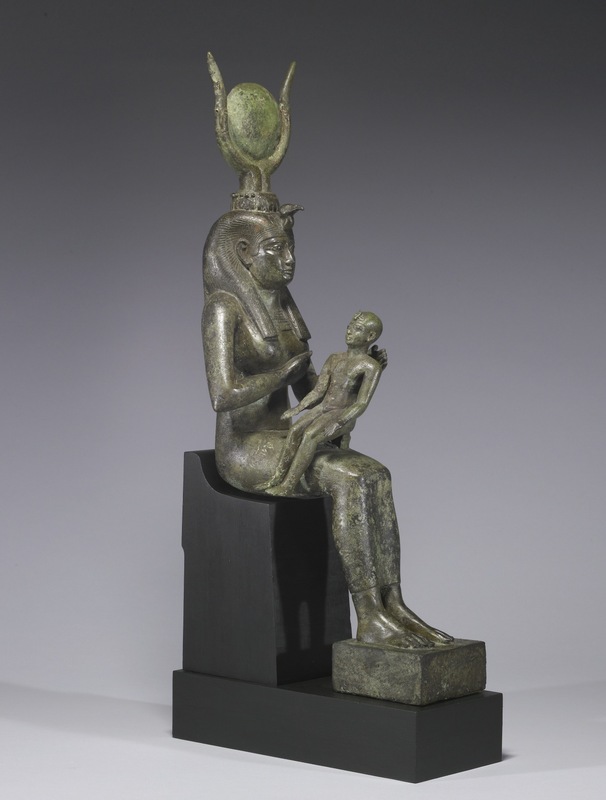 Worshipped as consort to Osiris, she is more than merely a beautiful trophy. Queens in Egypt were supposed to be wise counsellors to Pharaoh – their coronation title “She who Sees Horus and Set In One Being” suggests how important the Queen was to Pharaoh’s magical duties. The Romans adopted Isis as another mother-goddess; it’s probable that the temple commissioned by Caesar in honour of Cleopatra was dedicated to Isis. Set was always jealous of his kingly brother, Osiris. Once, to trap him, Set fashioned a box of rich acacia and cedar, and measured it to fit Osiris perfectly. Set then gave a banquet for all the gods, and proudly displayed the box. He proclaimed that whomever it fit would get to keep it. Dwarfish Bes was too small, and great Sobek the crocodile god was too large. Set’s wife Nephthys was too slender, Hathor the hippo goddess was too wide. When it came to Osiris’s turn. Set slammed the lid, making the box into a coffin for Osiris. Set threw the box into the Nile, and it drifted away. Isis spent a long time searching for her husband, and at last found the box with Osiris’s body. She brought it back to Egypt so that he could have a proper funeral, and be interred in a pyramid. As he lay in state amid the drying desert sands, Set found the body and in his rage at seeing Osiris again, tore the body into 14 pieces, and scattered them all over Egypt. As far as Set was concerned, his hatred was such that his enemy should not even have a proper burial! Once again, Isis set out to search for her husband. Try as she might, she could only find thirteen pieces of him – the last piece, his phallus, had been eaten by a great fish. She besought Thoth’s aid, and he helped her to craft a golden phallus, and attach it to Osiris’s body. Such was the power of Isis’s magic, she was able to become pregnant by her dead husband, and she conceived Horus to be his father’s avenger. With his body restored, and properly buried, Osiris became king of the Land of the Dead. The great fish who ate the last piece of him, swam to the end of the Nile, and there died. The phallus is there still, the source of the great fertility of the mighty river, and the author of the wealth of the land of Kem. Isis is patron of magicians. Her temples might be schools of magic, and her devotees and priests likely favor policies of educating peasants and universal literacy. She’s unlikely to have orders of paladins; such priests as she does have are likely to be heavily involved in politics. As a deity of female power, the goddess might be followed by Queens and noble ladies. In any world where women have less status than their male counterparts, she might be seen as the embodiment of the power behind the throne. She could also be invoked in her motherhood role to protect youngsters. Defunct temples are unlikely to be gem-filled dungeons – the Egyptians favoured simple open courtyards. But the magical aspects of such a place might make it an ideal location to cast large ritual spells – and even possibly be a nexus for interplanar travel. Such a nexus might well attract The Wandering Tavern – and serve as part of the quest to anchor it once more. Moving away from the more familiar gods, this week we’re exploring Sumeria – and more generally the ancient Mesopotamian mythology. Most mythologists don’t make a clear distinction between the Mesopotamian cultures – that is, the dozen or so cultures that ruled much of the area now known as the Middle East (approximately Iran, Iraq, Jordan, Syria and Israel) – as their religions all share clear developmental relationships. From at least 3500 BC (their earliest known writing) until about 50 BC (when the Romans advanced into the province) there were a whole string of empires – the Hittites, the Babylonians, the Sumerians and the Persians. From our point of view, they can be considered together just as the Greeks and Romans can, because they broadly shared a pantheon. 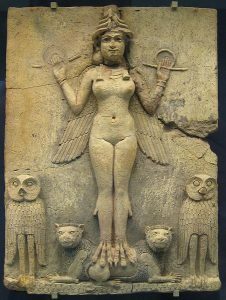 Looking from one to another you might find that Ishtar becomes Inanna or Astarte – but the powerful female fertility deity is similar throughout. The Sumerians feared their gods – rather than the kindly parent figures of Classical myth, or the very human Norse pantheon, the Sumerian Gods are chthonic forces of nature, and most often of water – for people living on desert flood-plains water is by far the most important part of nature. At the core of the pantheon is one family – a father, Ea, god of sweet water; and two sisters. Ishtar rules life and fertility, and Ereshkigal rules death and winter. Their story is a take on the winter tale. The version I present is but one of many translations – very little record has survived the millennia, and thus the story as I tell it will inevitably differ from any of the versions that the Sumerians wrote. Ereshkigal, Queen of the Great Earth, was alone and in mourning. 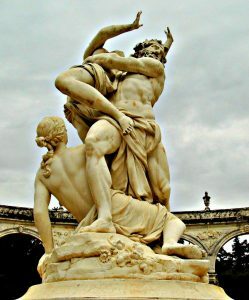 Her husband Gugulanna, The Wild Bull of Heaven, was gone from the world. Her sister meanwhile was happily celebrating her life, and courting a new lover named Tammuz (god of food and vegetation). Ereshkigal was angry that Ishtar would not share her mourning – and so she captured Ishtar’s lover and trapped him in the Underworld. Ishtar would not let this affront stand, and thus she approached the gates of the underworld and demanded that the gatekeeper open them, threatening to burst them open, so that all the dead would be loosed on Earth. As Queen of the Underworld Ereshkigal could not risk her domain being destroyed, and so she ordered that Ishtar be let in, but only “according to the ancient decree”. The gatekeeper let Ishtar into the underworld, opening one gate at a time. At each gate, Ishtar was required to shed part of her jewelry and clothing. When she finally passed the seventh gate, she was naked. Ishtar spoke then with her sister, asking her to release Tammuz from death, but Ereshkigal refused. Enraged, Ishtar threw herself at Ereshkigal, and so Ereshkigal ordered her servant Namtar to imprison Ishtar and unleash sixty diseases against her. With Ishtar imprisoned in the underworld all fruitful activity ceased on earth. When the king of the gods, Ea, heard of this, he created a being called Asu-shu and sent it to Ereshkigal, telling it to invoke “the name of the great gods” against her and to demand the bag containing the waters of life. Ereshkigal was enraged when she heard Asu-shu’s demand, but she had to give it the water of life. Asu-shu sprinkled Ishtar with this water, reviving her. Then Ishtar demanded Tammuz as payment for her time. 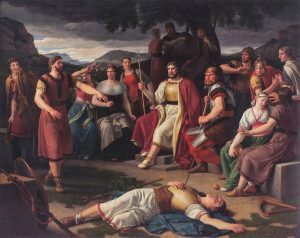 Ereshkigal refused – as Tammuz was dead he could not be allowed to leave – but Asu-shu suggested a compromise: Tammuz and Ishtar could share their life, spending half of each year together among the dead, and the other half together among the living. Thus it came that they passed back through the seven gates, getting one article of clothing back at each gate, and were fully clothed as they exited the last gate. As a patron, she grants the power to both enter and return from her realm. Liches and necromancers might sacrifice to her to replace their own souls with that of others. This is reminiscent of the Dark Eldar of Warhammer 40K, who sacrifice souls to She Who Thirsts, lest She quench her thirst on the Eldar. This plays to her unknowability – beyond the gate of death. As a winter deity, it is possible that she is a necessary part of a greater cycle. The oak seed sleeps under the snow, and the quenching of the heat of summer (see Shamadan in Concept Cards – Epic Characters for the evil desert sun) – D&D’s Raven Queen is an example of this kind of beneficent winter deity. Winter need not be evil, merely hard and testing. For examples of these kind of winter spirits, some of Empire LRP’s Eternals display this aspect of Winter – the trial to temper the quester against greater challenges. Crow is a trickster throughout Native American mythology. His name in the Alaskan Nootka or Tanaina tribes is Chulyen – it’s important to remember that the body of myth described as Native American (or Amerindian) is from dozens of tribes originating from Alaska to Texas. Some stories are peculiar to one tribe, some are shared by dozens. Chulyen, as with many incarnations of Crow the trickster, can be interchanged with Raven the wise teacher. 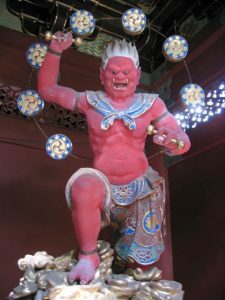 In either form he appears throughout the myths of many tribes. Generally speaking, the animal spirits – Bear the healer, Beaver the builder and crafty Old Man Coyote – are not gods but helpers to mankind – or sometimes his enemies and rivals. The world is full of evil creatures, like the winter spirit Wendigo and the water spirit Uktena, and without the aid of good spirits it is hard for Man to battle them. Once, not far away, there lived a very powerful and rich chief who had a beautiful young daughter. Somehow, the chief captured the sun and the moon with a powerful magic, and he hung them up in his house. Everywhere else there became darkness. Because of the darkness, the people could not hunt or fish. The plants would not grow and the animals had nothing to eat. Crow learned that the great chief had taken the sun and moon, so he went to the chief’s house. He asked the chief if he would return the sun and moon, but he would not. Crow saw that it would be hard to steal the sun and moon, for they were well guarded, So the cunning black bird devised a plan. He saw how the chief’s daughter went to a small stream to get water every morning, so Crow hid near there and waited for her to return. When he saw her coming down the trail, he turned himself into a fingerling, a tiny fish, and jumped into the water. After the girl arrived, she filled a bucket with water. Then she dipped her drinking cup into the stream and Crow-fingerling quickly swam into it. She did not see him and drank the water. So the girl became pregnant with Crow’s spirit. After a short time the daughter gave birth to a baby boy. The baby grew fast and was soon a young boy. The grandfather was very fond of his grandson and would do anything for him. One day the Crow-boy began crying. The boy pointed to the pretty lights – the sun and moon – hanging from the ceiling. The chief decided to let him play with them if it would make him stop crying. So the boy took them outside and played with them for a while, but then he threw them high into the air. 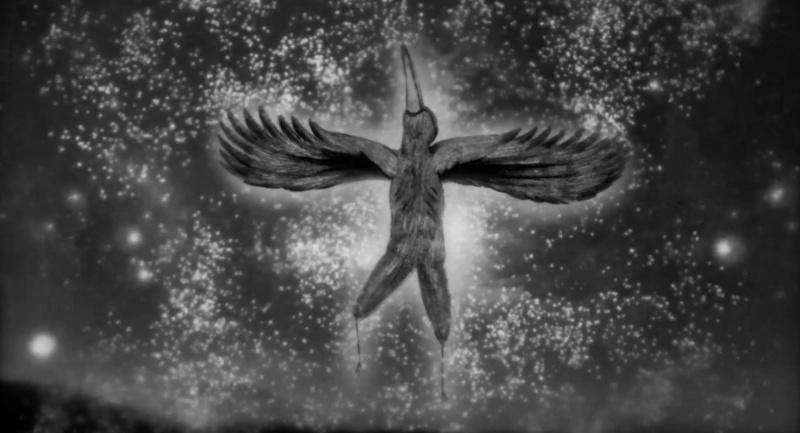 When the old chief ran out to see what had happened, Crow became himself again and flew away. The chieftain is still angry and sometimes he tries to throw a blanket over the sun or the moon to catch it again. But Crow will not let him. Crow tricks everyone eventually – even Death on occasion, when he feels the world needs to learn a lesson. It is this aspect that the Crow comic series, created by James O’Barr, has taken (The comics have spawned films and novels; the first film starred Brandon Lee.) If you are telling gothic or horror tales, this aspect of Chulyen as a psychopomp (a guide of dead souls) can be useful, especially for explaining the metaphysics of the world to characters, and readers. For a comedy example of this in action, Quoth the Raven in Terry Pratchett’s Soul Music parodies this narrator role. Players of Werewolf: The Apocalypse will doubtless recognise the ‘monsters’ above as tribe names – if you choose to play one of these characters, it is always worth trying to read a few of the (human viewpoint) stories the tribes are named for. In the World of Darkness, Crow himself has his own people – the Corax. Play all the animal spirits with a measure of seriousness – your players will provide the comedy if that’s what your troupe are looking for. In more real-world games, Crow or Raven might be used as a warning symbol, in the sense of ‘think carefully, all is not as it seems’ Crow might signify death-places, although these are more likely to feature human names. He is a common spirit guide, and might be appealed to when vision questing. Poe’s Raven has this kind of oracular insight. Balder is a God of Light. 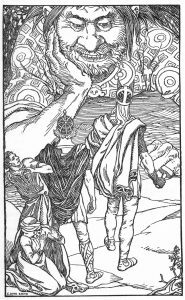 Most of the Norse gods have variant spellings, so may also appear as Baldr or Baldur. Usually worshipped alongside Odin, since he is Odin and Freya’s son – Sky and Earth making Light. His twin brother is Hoder, God of Darkness. So, the Boss has decided that we here at Artemis Games have to write something every week: Something at least tangentially related to fantasy. I have persuaded him that this would be an ideal space for me to geek out about mythology. So, I’m going to use this new spot, Mythic Mondays to work my way through an alphabet of gods. Fantasy gods usually have one or two domains, because they are designed to be the power behind clerics and paladins. Real world gods are not nearly so neat. Often the deity we know is a composite of different cults. For the classics, this is exacerbated when the Romans imported the Greek gods – and added modifications of their own. 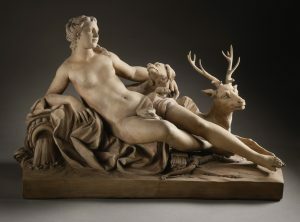 Artemis is a nice example of such a goddess – she claims dominion over forests and the chase, the moon, hunters and their prey, wilderness and woodsmen. Eternally virginal, but also goddess of protection in childbirth. Childbirth? Well, Hera would likely be your patron in the eastern islands, especially around Samos. But if you were Spartan, you would likely pray to Artemis to help you birth fine warriors. If you burned charcoal, or were a hermit, you might ask her for protection from wild beasts. She is, however, best known as a huntress – we’ve chosen her as our patron as the protector of game.